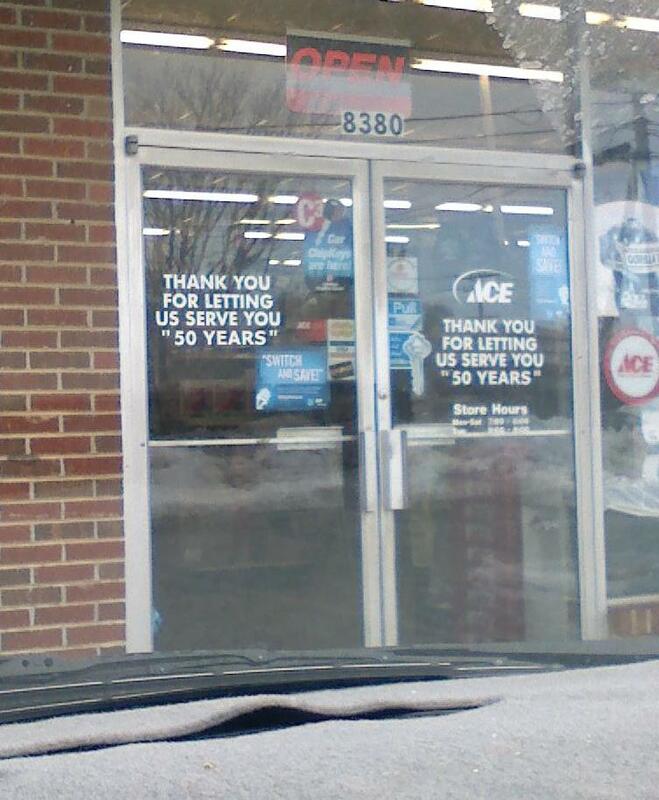 I guess at this Ace store there is no employee-customer relationship that really lasted 50 years. In their defense, who needs that much hardware. Thanks, smoochiefrog. I'm guessing it feels like 100. Depends on your relativistic frame of reference. I dunno, maybe someone who has carpet remnants covering their dashboard? but will it scratch your back? not so much makeup and quicker with the towels? nothing like a nice "holiday"
but do they have them? 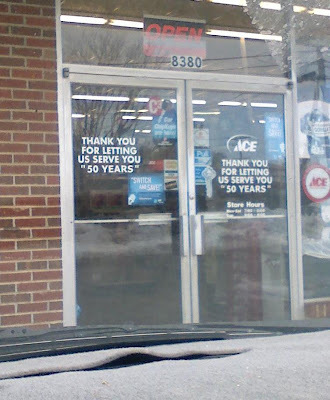 uh, see you in 25 "years"
is any of this actual food?